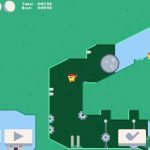 Golfing Around is a straightforward golfing game in which players are challenged to have fun with nothing more but their clubs and the course. Available for iOS and Android, this new mobile title from Colin Lane Games, the developer behind other exciting games such as Big Shot Boxing and Dunkers 2, comes with various nine-hole courses and unique challenges. 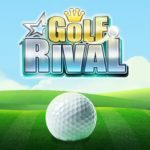 Golfing Around starts off with three courses and players can unlock more as they progress through the game and beat the starter courses. Ready to give it a shot? Check out our Golfing Around beginner’s guide for cheats, tips and tricks to become the ultimate golfer! If you want to be successful in Golfing Around, you need to take your time and plan your shot carefully. Just like in real golf. Check and re-check the map as many times as necessary and pay attention to the wind. That might require some angle tweaking. Make your shot only when you have it all under control. Holding the power meter will top it out for a few seconds. However, its power will decrease slowly before rising again. This will help you hit your ball with the ideal power. 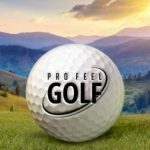 Golfing Around allows you to adjust your shot while looking at the course map, thus making it possible for you to check the trajectory of your shot and line it up with higher precision. The map view is useful for putts as well, as it allows you to make sure that you will hit the target. The course map in Golfing Around allows you to line up your shot almost perfectly. However, it doesn’t tell you how your ball will move after it hits the ground. This is something YOU must anticipate when planning your shot. If you fail to anticipate how your ball will roll and bounce after hitting the ground, you will more than likely overshoot it all. No matter what it takes, try to stay away from water and sand. Making accurate shots out of there is practically impossible. You will see that the bar will wave and turn red immediately. If you have bad luck and you hit the water with your first shot, the game will skip you directly to your third shot. If your ball skips over the green, Golfing Around recommends you to use a chipper for your next shot. And that’s not necessarily a good idea. If you switch to a long putter instead, you will be able to keep the bounce and wind variables under control and achieve a more precise shot. Plus, the ground in Golfing Around is always flat. This means you don’t’ have to worry about hills. 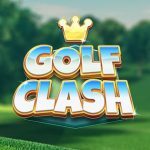 We hope our Golfing Around cheats, tips and tricks will help you improve your golfing skills and make this game even more fun to play! If you have anything to add or just want to share your thoughts about the game, feel free to leave a message in the comment area!